My son has been looking at books since he was four months old (read more about that here). My daughter is now doing the same. It is the most special time of the day to have my baby on my lap as we read the alphabet, count to ten, or flip through a cute and cuddly touch and feel board book. Or to laugh out loud at the antics of Captain Underpants as my son now proudly takes on some of the reading himself. 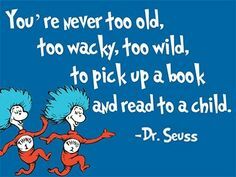 It is the book-lover in me and the English teacher in me that drove me to instil a love and respect for books in my son and I hope to continue that with my daughter. There is something about reading that teaches us to slow down, to appreciate the written word and to use our imaginations in ways that modern society does not challenge us to do in our every day lives. The importance of reading to children and babies is firmly supported by a plethora of journals, researchers, parenting websites etc etc etc. I do not pretend to be well versed in this research – but, I do know that as a mother of two my heart is warmed by my son’s excitement when we discuss our favourite parts of a book and my 7 month old’s little fingers grasping at her book when I say “turn the page”. They deprive me of sleep, push me to the borders of irrational rage, squeeze every last bit of patience out of me – but when we sit to read everything dissolves around us. My children and I willingly lose ourselves in the magic of the words and pictures. Love for reading is a gift that will last forever. Teach it with passion. Give it with abandon. Your children will thank you.